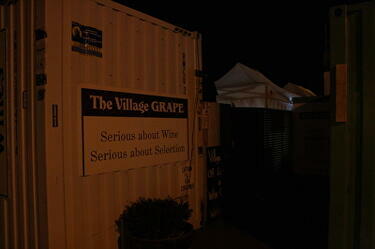 A photograph of the exterior of the Village Grape, a wine shop constructed in a shipping container in Sumner. 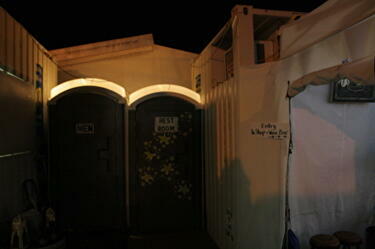 A photograph of portaloos at the Village Grape in Sumner. 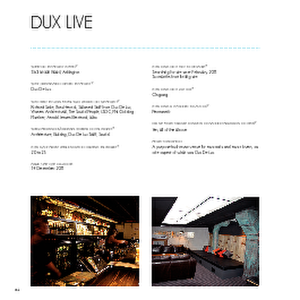 A PDF copy of pages 226-227 of the book Christchurch: The Transitional City Pt IV. 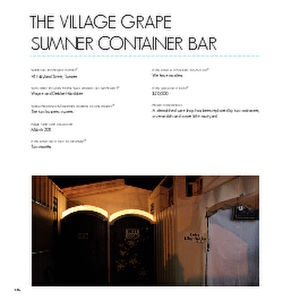 The pages document the transitional project 'The Village Grape Sumner Container Bar'. A photograph of the interior of the Village Grape. 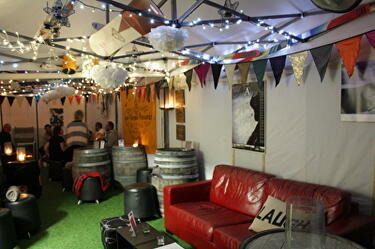 The wine bar area has been set up in a marquee.